Thank the person who gave you this award and link by to their blog. Nominate 15 Bloggers for this award, and notify them about the nomination. Thank the fellow blogger who gave it to you. Pick 5 other blogs you want to recognize. 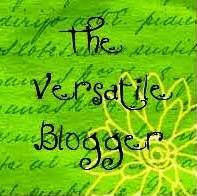 Visit the 5 bloggers and let them know that they receive the award. I dreamed to be a stormchaser. I am like hypnotized when I see fool Moon. I hope someday I’ll visit Norway. Just a glance of Viggo Mortensen on TV or movie screen is enough to take my breath away. I am the mother of the most gorgeous Moon elf who is actually a prince of our little kingdom. I have Moon in Pisces and that part of my astrological card made the biggest impact in my life. 1. Most of the people love the view of an ocean or a sea, I prefer to see mountains throught my window. 2. I’m a cat person, but I still love dogs. 3. I prefer silver than gold. 4. Two years ago I was thinking I’m not suitable for being a mum. 5. I got addicted to blogging. Thanks again to Jake and daddiri, I love their blogs too and I am really honoured that I received these awards from them! Thank you again! Thank you so much for thinking of me. i am deeply honoured. thank you for thinking of my blog! very kind of you! Thank you for including my „random thoughts“! A pleasure, and an honor! Thanks for the nominations 🙂 I hope you get to see Norway some day! Thank you very much for nominating my blog. I have already received this award so I will pass on the award. I am very honored that you thought of me. Pingback: Една малка Коледа « Жълтурчето - неделя, 1 януари, 2012г. Pingback: The Versatile Blogger Award again and Candle Lighter Award « Rois - сряда, 11 януари, 2012г. Pingback: Много приятна изненада « Кулинарни мисли и разни други неща - събота, 14 януари, 2012г. Pingback: You like me !!!!!!!!!!!! | Chronicles of Illusions - сряда, 18 януари, 2012г.